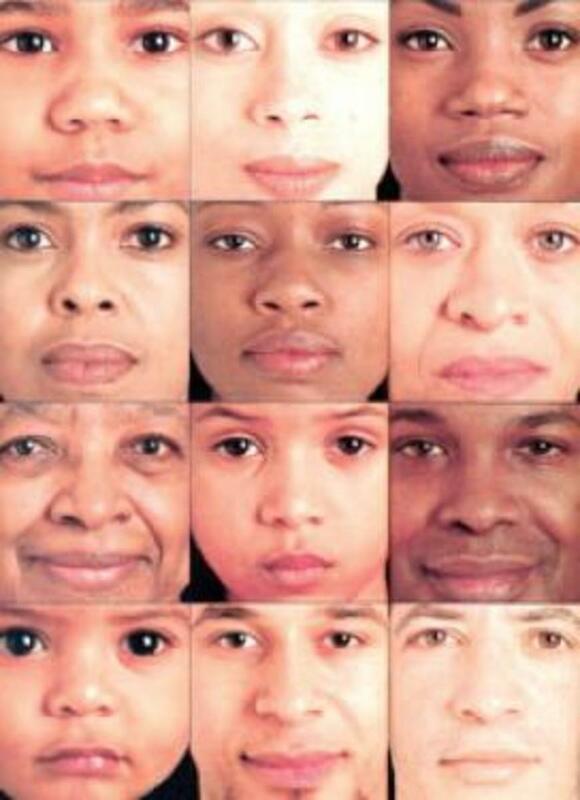 As someone who is white, I have certain advantages over people of black and brown skin just because I'm lighter. In our culture, white people have historically had power over minorities, and we have a long bloody past behind us. However, racial equality is still not here- whites are still in a position that allows them to systematically oppress and degrade People of Color (PoC). I despise my white privilege, and I have made it my goal to educate myself on what exactly having that privilege means. I do not consider myself racist, but I know that racism has been ingrained so deeply in white culture that I cannot possibly have escaped it all. I put forth my best efforts to learn what is considered offensive and culturally appropriative so that I can better myself and make my space a safe space. I don't want to be another ignorant white kid, and if you're reading this, you probably don't either. But, as I said earlier, we were raised in racism hidden so deep that we didn't realize it was there. Yes, you can be racist without realizing it, and while that does not excuse it, it does mean you have the opportunity to change it. While I attempt to scratch the surface of what is and isn't racism or appropriation, please keep in mind that I am not a definitive authority on the subject because I am white. The best way to learn what is offensive and harmful to PoC is to listen to them. 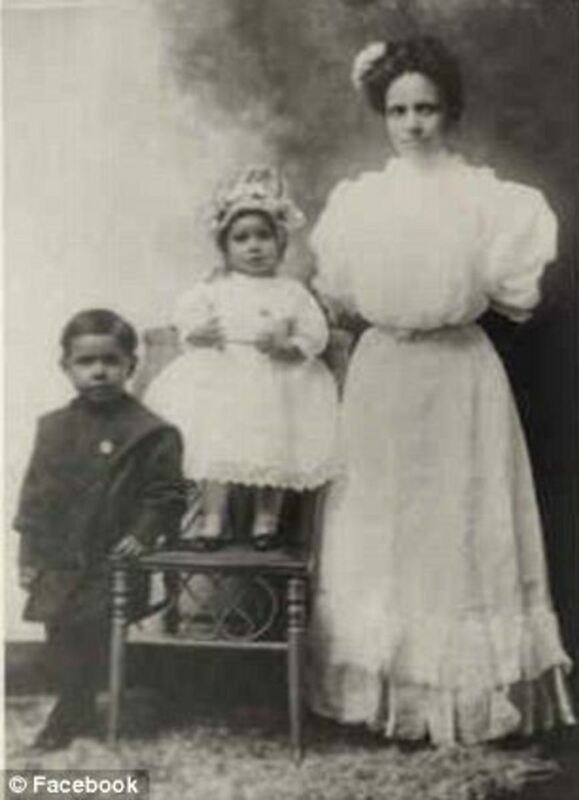 I can only share what I have learned from PoC, I can raise up their voices, but I cannot speak for them. Let's get started, shall we? I had not heard the term "cultural appropriation" until recently when I noticed a lot of non-white people throwing this term out about Katy Perry's AMA Performance or Avril Lavigne's Hello Kitty music video. Japanese culture is used as something "edgy" or "cool" in these performances- or, more honestly, used as a cultural prop. Additionally, the back-up dancers in both performances are all people of Asian descent, while the singer and main attraction is white. This is reducing an entire people to nothing but an accessory for their flashy performances, and if you can't see the racism in that, you may be beyond help. However, these two singers weren't the only ones to use a group of people as a prop for their music. Lily Allen came back from her hiatus this year with her Hard out Here music video that featured exclusively black back-up dancers, all of whom were wearing less clothing than she was. What started out as a promising feminist narrative ended in a racist and offensive farce. 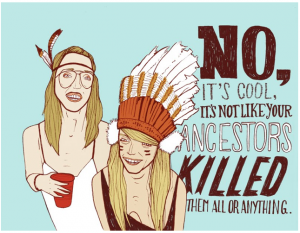 To put it simply, cultural appropriation is when a culture in a position of privilege or power steals and adopts the culture, religion, dress, and foods of another people to fit a trend or make a fashion statement. This is exactly what Katy Perry and Avril Lavigne did in their performances. 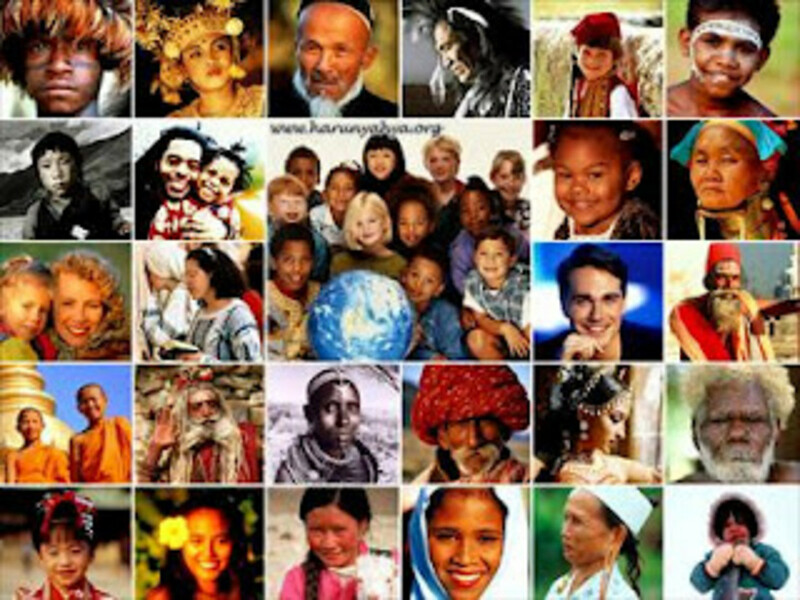 Western culture has a habit of taking the bits and pieces of other peoples' culture and traditions and using them however it deems fit. This is incredibly offensive to the cultures that we steal from, and just may contribute to the poor image other countries have of America. Where do we draw the line between "appropriate" forms of cultural exchange and more damaging patterns of cultural appropriation? 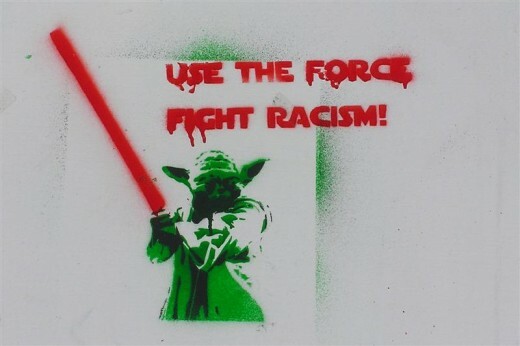 The thing is, that's what is so sneaky about racism in popular culture. It's every-where. We get used to it, pass it off as something normal and to be expected, or we try to defend the white idols who use racist terminology or ideas to sell their music. We don't stand with the group of people being exploited, instead, we try to defend the people exploiting them. That's messed up, and there's a word for it: white apologism. We consistently excuse the racism exhibited by famous white stars, while we destroy people like Nick Cannon for his so-called "whiteface" publicity stunt. This double standard highlights the fact that racism is alive and well in America. While numerous white fans of Katy Perry jumped to her defense and claimed that the offended parties were "overreacting" or "being too sensitive," an overwhelming number of whites swarmed Nick Cannon with hate, attacks on his career, and cries of "reverse-racism." The wounded white-people-pride was overwhelming. Screenshots of a few of the nastier (and more ignorant) comments on articles about Nick Cannon's "white face." 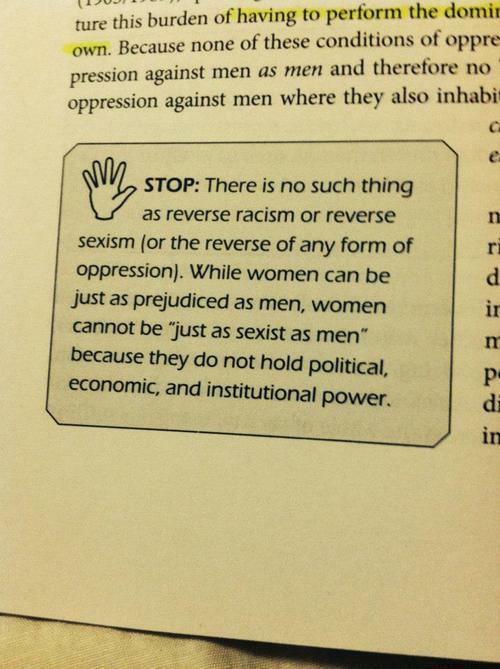 STOP: There is no such thing as reverse racism or reverse sexism (or the reverse of any form of oppression). While women can be just as prejudiced as men, women cannot be ‘just as sexist as men’ because they do not hold political, economic, and institutional power. This applies, also, to PoC and white people. 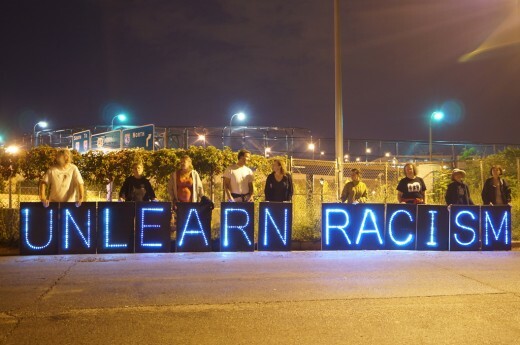 While a marginalized and oppressed group can be prejudiced, they cannot be "reverse racist" or "reverse sexist" etc. because they are oppressed and therefore cannot do any oppressing. So, the next time you hear some white fruit loop crying about how they're discriminated against for being white, feel free push them down a well of their own ignorant self-pity. Do you want to see more in this series? I'm largely indifferent but want to vote anyway! At the risk of overload with too much information, this is where we'll stop Part 1. We've covered some pretty good basics you need to understand before we move on to the finer details. As I will always tell you, don't just take my word for any of this. Do your own research, read articles and comics written by PoC to hear it straight from them, watch interviews, check out the news and watch for the not-so-subtle racism. The potential to learn more and be a better person is right at your fingertips (literally- you are touching a device connected to the internet). Reach out and embrace it. If you have questions, suggestions for what you would like to see in future articles, or information you want to share with me, please drop a comment below! I would love to hear from you all. There's a quiz below (intended for white folks) to check your privilege levels and to see how much you learned from the information on this page. Remember- a perfect score does not mean you are a perfect ally to PoC. There is always more we can do, and more we can learn. I honestly don't know whether to laugh or cry at this. Laugh at the absurdity, or cry at the brainwashing and indoctrination you have so clearly been subjected to.